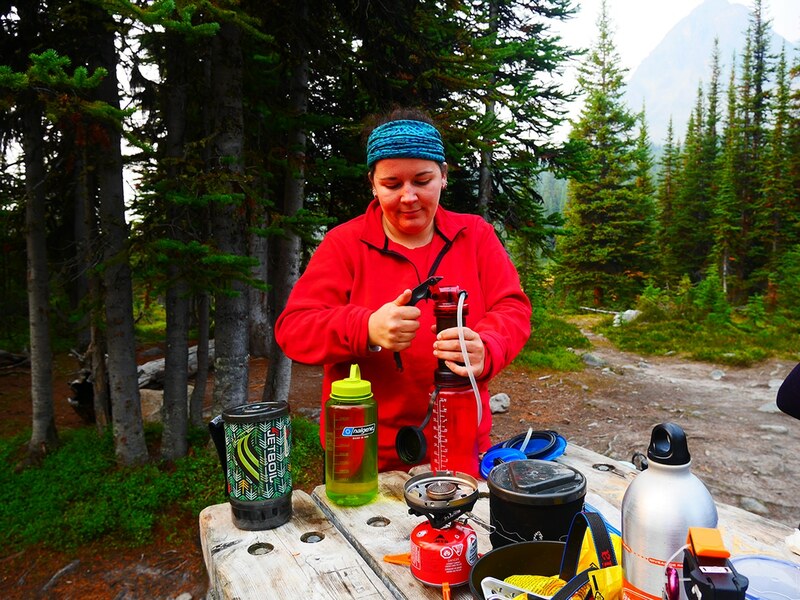 What should you do for drinking water while backpacking? It’s very difficult to carry all you’ll need and drinking directly from mountain lakes and streams can make you ill! In this article we share some of our tips for staying hydrated while backpacking and hiking. How do I get water while Backpacking? Water will be one of your biggest weights on the trail – because there’s no way to lighten it. A litre of water weighs 1 kilogram, and it’s ideal to carry at least two litres with you, depending on the trail and whether there are other water sources available. Staying hydrated is incredibly important and helps prevent heat stroke and heat exhaustion. A loss of even 5% of your body fluids can result in much greater losses of energy. I’ve hiked with people who drank less water because they didn’t want to pee in the woods, but as someone who’s had heat stroke, let me tell you that peeing in the woods is a lot better than puking on the side of the trail with a migraine. You will need water for three things while backpacking: drinking, cooking and cleaning. For drinking water, try and work out your water needs beforehand – calculate how much you consumed on your last day hike, and plan your days around that. If you will be hiking in warmer weather, plan to drink more. Generally, try to drink more water rather than less, and lots of it while hiking and just as you finish. It also helps to “pre-hydrate” – try and drink up to a litre of water before you hit the trailhead, so you won’t be playing catch up all day. What do I use to carry my Water? There are two main choices when it comes to carrying your water – bottles or bladders – both with their own pros & cons. A bladder (CamelBak, Platypus etc.) combined with a drinking tube allows you to hydrate on the go, without stopping and putting down your backpack. Taking small sips every few minutes is a lot more efficient than stopping every half an hour to chug a few hundred millilitres. However, a water bottle such as a Nalgene is a lot easier for cooking, making drinks and general use around camp. Bottles are also easier to refill on the trail, and easier to keep clean. If you only put water in your bladder (no flavours / electrolytes etc. ), and let it drain and dry completely after each use, you shouldn’t have too much of a problem. Personally, I carry both. If it’s going to be a long, hot, sweaty trail, I’ll fill my 1L Nalgene as well as my 2L CamelBak. I also use the Nalgene as a convenient container for around camp at night and if it’s cold, I’ll fill it with hot water for my sleeping bag. Unless you have a porter to carry in all your water needs for your trip, you will need to collect water to replenish your supplies. Official campsites will almost always have a water source somewhere nearby, however water out in the woods is rarely safe to drink untreated. In general, water near its source (often glaciers or springs in the Rockies) is safer to drink, and the cold temperatures and high solar radiation kills off most pathogens at elevation. However, there’s nothing to say that a rude marmot hasn’t pooped on the stream bank just around the corner from your collection point. Anyone who’s had Beaver Fever (Giardia) will tell you it’s not worth the risk. Even though Canada has some of the most pristine glaciers and water sources, Parks Canada still recommends all water be sterilized before drinking in the Rockies, and for that, you have three options: boiling, filtering or purification tablets/drops. Boiling water is the simplest: get your water to a rolling boil for 1 minute (or 3 minutes if you’re above 2000m). This works well although it can be time consuming depending on the size of your pot, the efficiency of your stove and how much water you drink. It also means taking extra fuel to boil water, which means extra weight. Water filters are also popular. There are dozens of different water filters on the market, but all work in pretty much the same way: forcing water through a series of membranes that allow the passage of water molecules, but not viruses, bacteria or protozoa. The main disadvantage is cost, with most models running over $100. They also require maintenance to keep them functioning correctly, and depending on the model, take an average of 1 to 2 (somewhat tiring) minutes per litre to filter. If you’re thinking of purchasing a filter, my pro tip is to take along your Nalgene or CamelBak, and purchase one that fits directly on the mouth for easier filtration. Finally, while LifeStraw seems like a genius idea, the practicalities of getting down on your hands and knees by the side of a muddy stream or lake and using only the power of your sucking to move water through the filter to your mouth, make this a less desirable option. Water treatment tablets or drops are lightweight & fairly inexpensive when compared to filters. However, they are a bit more limited in their treatment capacity (most aren’t effective against cryptosporidium), can leave a taste, and take 15 to 30 minutes to treat 1 litre of water. Keeping a couple in your food kit can be a useful backup if you have problems with your filter or stove! For our water, we carry a 2L or 3L Platypus + a Nalgene or Kleen Kanteen water bottle. We often carry an additional 3L water bladder that we fill up at night, so we have extra water in the morning and don’t have to filter more water on the trail. We carry a good MSR water filter that fits on our Nalgene bottle as well as some water treatment tablets for quick treatment or if our filter breaks.  For people new to water treatment, it’s useful to trial the above water treatment options and talk to a specialist at REI, MEC or your local outdoors store about the pros and cons of each option to make an informed choice. Next up is our article on How should I pack my Backpack? I have seen one when traveling in Colombia. A Swiss guy was given a prototype water filter cap. basically, just the top. it screws on any normal bottle, like plastic bottle or glass or the aluminum ones. How they use it was amazing, you don't wait for any filtration, just pour water out of anywhere you can find it, and just drink it or use it through the screwtop. The guy was filling it up from random places, rivers, and rain and never had any issues. Just drank through that nozzle and it was great. Shame I can't remember which company was it. That sounds super easy Maurice! Thanks for the suggestion.